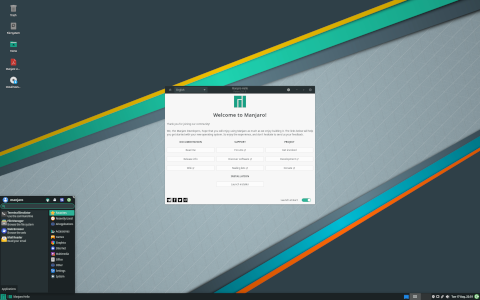 Rate this project Philip Müller has announced the release of Manjaro Linux 17.0.2, an updated build of the project's "Gellivara" set of distributions featuring KDE Plasma 5.10, GNOME 3.24 and Xfce 4.12: "Manjaro Gellivara was a great release. Now we are proud to announce 17.0.2 which fixes a lot of issues we had with our original release of Gellivara. It took us almost three months to finish this updated version. We improved our hardware detection, renewed our installer (Calamares), added the latest packages available to our install media and polished our release as a whole. Everyone who used older install media than this release should also read this announcement about password weakness and follow its advice to secure your systems. 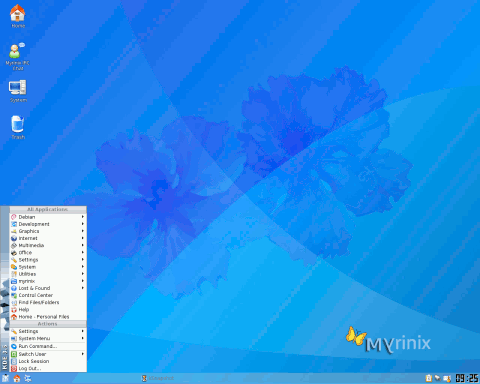 Features of this updated release Gellivara: latest LTS kernel from the Linux 4.9 series; latest X.Org stack from the 1.19 series; latest KDE Plasma 5, Applications, Framework and Qt; updates to our graphical package managers; enhancements and improvements to our Manjaro Tools and Profiles...." Here is the brief release announcement with a screenshot. Download (pkglist): manjaro-kde-17.0.2-stable-x86_64.iso (1,922MB, SHA1, signature), manjaro-gnome-17.0.2-stable-x86_64.iso (1,359MB, SHA1, signature), manjaro-xfce-17.0.2-stable-x86_64.iso (1,557MB, SHA1, signature).